Alfred Hong, has started an online petition titled ‘Race is not an issue for Sg Elected President‘, rallying fellow Singaporeans to reject reserved Presidential Election. The Constitution Commission which reviewed the Elected Presidency has suggested that such an election should be called when a member of any racial group has not occupied the President’s office after five continuous terms, the next Presidential election will be reserved for a candidate from that racial group. His petition which is addressed to Prime Minister Lee Hsien Loong says that he has not seen hard empirical evidence which suggests that Singaporeans place emphasis on race during General Elections for MPs, By-Elections for MPs, or Presidential Elections. He started the petition with the hope that majority of Singaporeans feel the same way, and will band together to make their voices heard. He believes the changes to the Elected Presidency has implications for Singaporeans and for future generations. However, as a reserved election is not open to hopefuls from other races, a legitimate argument can be made that the meritocratic principle is not exercised in its full measure. The reserved election approach also presupposes that only a minority- race President can be a symbol of our much-vaunted multiracialism. Is any of our former and present ethnic Chinese presidents any less a symbol of multiracialism than our former non-Chinese presidents? 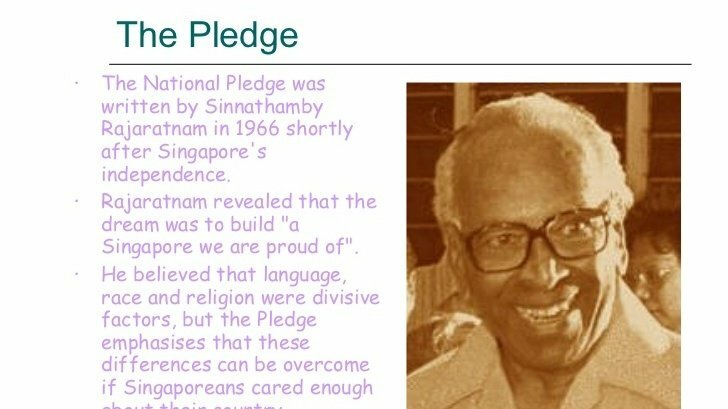 Indeed, it was not race or the colour of their skin that automatically endowed our Presidents as symbols of Singapore’s multiracialism. Rather, it was their practice and promotion of multiracialism that infused into the institution of the presidency the spirit and soul of multiracialism. Mr Hong said that he is against any policy which aims to divide Singaporeans rather than to unite them. He said that the continuous harping on race in Singapore, especially in politics, only serves to divide Singaporeans further and creates unnecessary tension between them. “We already have enough issues to worry about without playing the race card<” Mr Hong said. “Racist politics is dangerous and has long term consequences, just look at our neighbours,” he added.